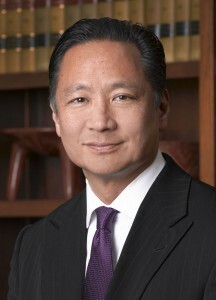 San Francisco, CA — For fighting on behalf of justice for the poor, San Francisco Public Defender Jeff Adachi will receive the Elected Official of the Year Award from the Vanguard Court Watch, an organization working against wrongful conviction and wasteful spending. The award will be presented Saturday, Nov. 9 at the organization’s 3rd annual dinner and awards ceremony, “Restorative Justice and Reforming the Judicial System.” California Assembly Member Tom Ammiano will also be honored at the event, which will be held from 5-9 p.m. at the Veteran’s Memorial Center in Davis. Fresno County Judge David Gottlieb will be the keynote speaker. The Vanguard Court Watch, which operates under the auspices of the People’s Vanguard of Davis, monitors the court system for common flaws and policies that might lead to wrongful convictions or lengthy sentences that are not proportionate with the crimes committed and often end up costing the county and taxpayers additional monies. The Vanguard Court Watch of Yolo County puts 8 to 12 interns into the Yolo County Courthouse on a weekly basis to observe, monitor and report on happenings of the Yolo County Court System. Adachi’s office serves approximately 25,000 people each year who cannot afford private attorneys, fighting for them both inside and outside the courtroom. The office’s leading-edge programs include Drug Court, Behavioral Health Court, the Children of Incarcerated Parents program and a full service juvenile division. Adachi said he was honored to receive the award during the anniversary of the landmark Gideon decision. “Fifty years after Americans won the right to counsel in criminal cases, we are still working to fulfill Gideon’s promise of equal justice. I am honored to share with Vanguard Court Watch the common goal of exposing wrongful conviction, which disproportionately affects the poor,” Adachi said.